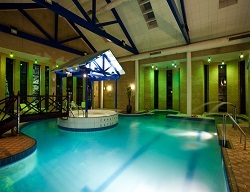 Our leisure breaks make great value mid-week or weekend breaks. Throughout this section you will find hotel breaks offering either bed and breakfast inclusive offers or dinner, bed and breakfast inclusive offers. Included in these special deals you will also get use of the hotel's leisure facilities throughout your stay (unless otherwise stated). The leisure breaks are perfect for a group of friends or even just a couple of people that want to get away for a night to a great hotel with superb spa facilities but aren’t there for a spa treatment. Not only do we have the below set leisure break rates with our hotels, but if you see a hotel of interest that you would like a leisure break rate for, please just get in touch and we will be happy to make an enquiry on your behalf for an up to date rate. Leisure breaks are also ideal if your chosen hotel has bedrooms available but the treatment times don’t suit your needs, you can still visit the hotel at a reduced rate.